As part of Ars Ornata Europeana 2007, an exhibition entitled Romancing The Stone was devised. Curator Jo Bloxham invited twenty two established and emerging jewellers to respond to her proposition to make a piece of jewellery for one of the commemorative statues in Manchester Town Hall. Each of a series of marble portrait busts was 'accessorised' with a piece of jewellery. 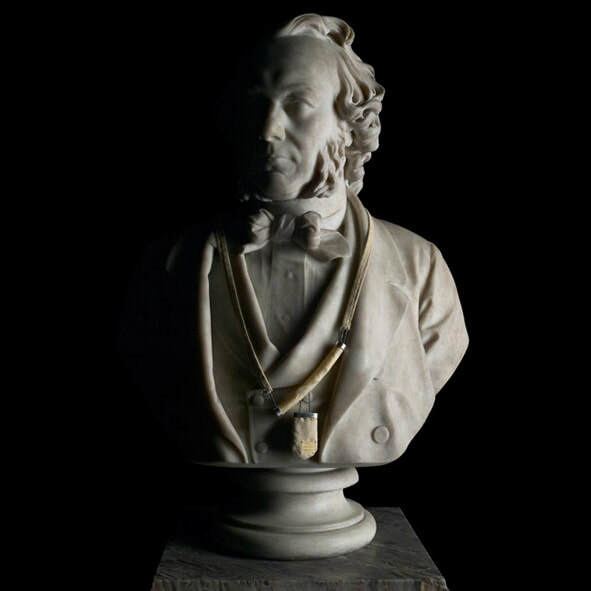 Many of these busts were original pioneers of Manchester's industrial heritage and this provided a rich narrative for each of the jewellers to explore and employ.